Every three months I fly out to Denver (from wherever I’m galivanting around the world) for our Quarterly Planning meeting at the Early to Rise office. I join Matt Smith, ETR’s Publisher, and Jeff Schneider, our COO, for an intense morning where we review our progress and plan our processes for the next three months. Our 90-day planning sessions constitute our short-term thinking. I don’t recommend you stop there. I want you to think bigger and go further. I want you to plan your life by creating a foundation for success. This foundation is called your Vision, and it’s even bigger than goal setting. Having this long-term vision will make 2015 more successful. Grab a pen and paper, because I’m going to help you decide where you want your life and business to be in 5 years from now. By creating this vision, you create a destination. The vision will help you make the right decisions and dictate your actions to make 2015 an awesome year. I want to give credit to the originator of this method, Ari Weinzweig, the owner of the famous Zuckerman’s Deli business in Ann Arbor, Michigan. He shared these strategies in an article in Inc. Magazine and it was a game-changer for my life and business. Ari recommends these 3 steps for creating your vision. It could be 1 year, 5 years, or 10 years, but Ari recommends 5. That really allows you to think big without it seeming too abstract. It sounds like fantasy, but it’s my vision of reality. That’s why your vision must be written from the future, as if one day you will truly be saying this…as I truly expect to say that about that business. What does your organization/family look like? What do you refuse to do? What is your Mission and Movement? 1) What am I doing to get more clients this week? And finally, he asks himself, “Have I made more deposits than I’ve taken withdrawals this week?” Those are all great questions you can add to a weekly review of your progress. How do you feel about your business/family/health? What are the 3 most important things to your business, family, and health? What kind of people will you need to connect with? What are everyday tasks that go about improving your business, family, and health? What do people in your community say about your business, family, and health? What is your endgame? Is it working 6 hours per day, making 6-figures, and focusing more on family than growing your business to 7-figures, that’s fine. Be specific. Know specifically where you want to go…don’t just write down, “make more money”. And what resources do you need to achieve all of these changes? It’s probably not as much money as you think. Finally, what really makes you happy in life? What brings you the greatest joy? For me, nothing makes me happier than the simple things in life. Hanging out with Bedros at Mastermind meetings, hitting the gym with my buddy Jay Ferruggia, having dinners with friends, reading, and watching my dog run really fast. Make your own list of what makes you really happy and brings you great heart-bursting joy, and then never lose site of that. Yes, yes, it’s important for us to keep pushing and to change the world, and to persevere towards our grand missions in life…but you need to know what you are willing to do and what you will not do. This will help you stay on track to making extraordinary breakthroughs in your business while giving you the piece of mind in knowing that you are experiencing the joyful, simple things in life that mean the most to you. Now that you’ve written down your answers for all of these, write out your vision for where you want you, your business, your family, and your health to be in 5 years from now. Write a summary as if you were writing from the future, having already achieved your vision. You will soon have a powerful statement that is going to guide you to more success in the next 5 years than you’ve had in the past 25. 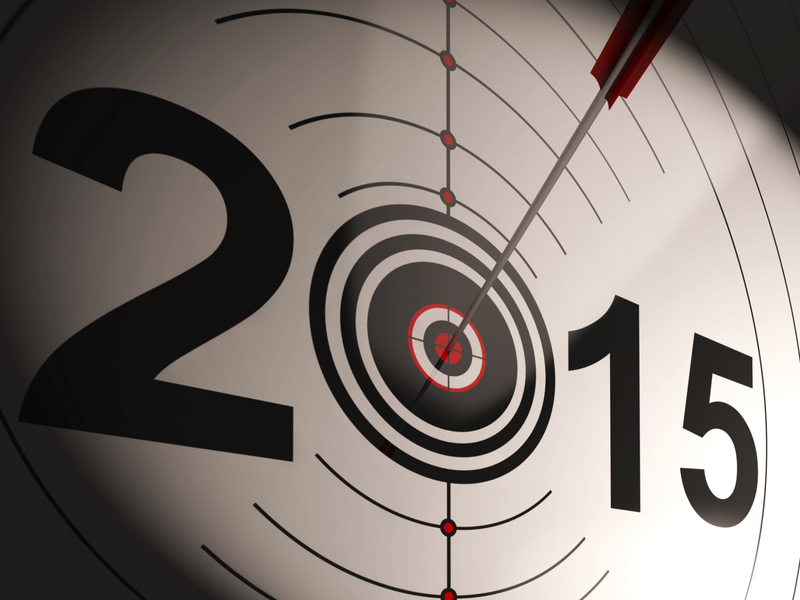 This vision will help you have your best year ever in 2015. Let me know your progress so far in 2015.